Mirror, Mirror on the wall…Who is the fairest of them all? Well in terms of football in Europe it comes as no surprise that at the halfway point in the season, Germany leads the way in terms of attendances. A country that scoffs at the idea of ripping off the fans and consequently charges an average of 26 Euros to watch a top level game. A country where the drinking before, during and after the game is compulsory. A country where sausages are the national dish and a country that has invested billions into the football infrastructure. But what is the situation like in other countries? Read on to find out what is happening in the top 15 leagues in Europe….. The best supported team in Greece this season is Panathinaikos with an average attendance of 21,721. Their crowds are up by nearly 13% this season which is in stark contrast to Olympiakos who have always traditionally been the best supported. Their crowds are don by 16% to 21,338. However, it should be noted that Panathinaikos play at the 70,000+ Olympic Stadium where as Olympiakos play at the 30,000 seater Karaiskaki Stadium. So you could argue that their fans are still more loyal. 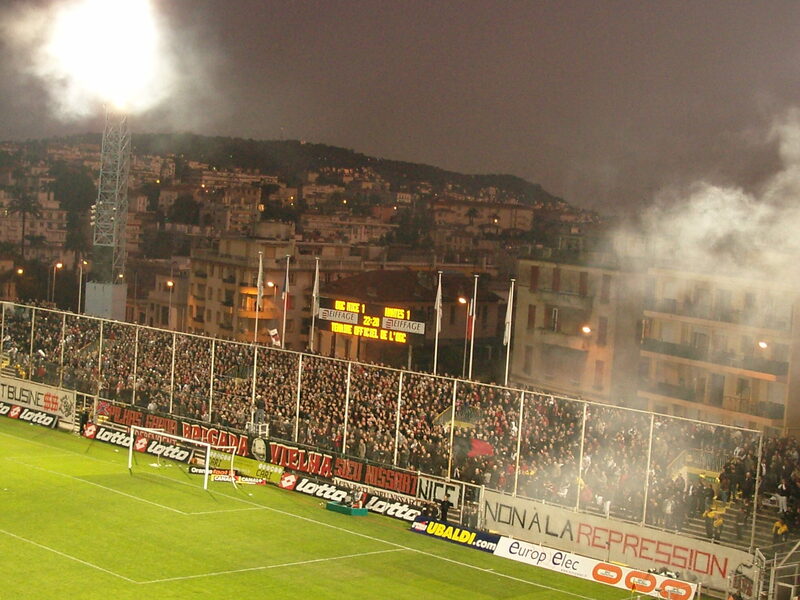 Other well supported teams include PAOK and Aris from Thessaloniki. 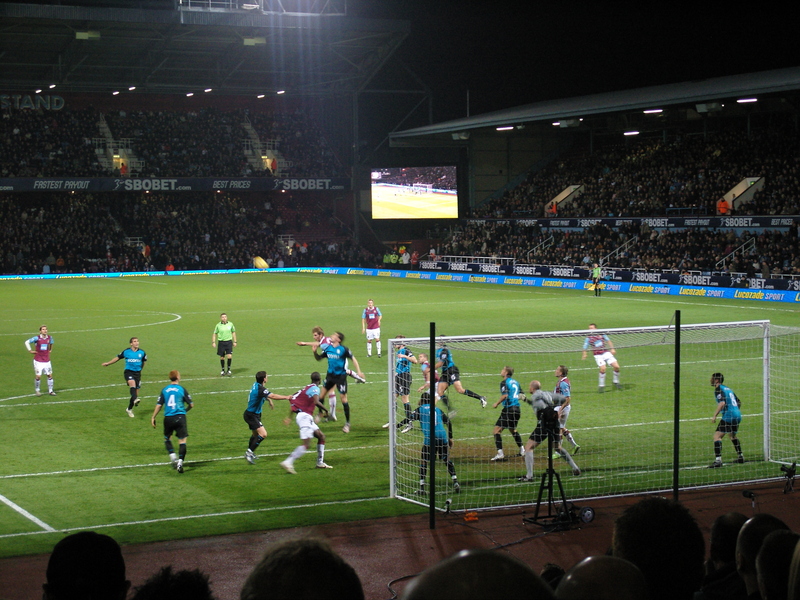 Five years ago the average attendance was 5,944 so there has been a growth in the football watching public. Two major new stadiums opened in Sweden in 2009 season which was responsible for the small growth in average attendances as Malmo, who moved yards into their 22,000 Swedbank Stadium increased average attendances by 32% and IFK Goteborg who moved into the Gamla Ullevi (along with GAIS and Orgryte) had a 40% rise in attendances. The best supported team was AIK Solna who play at the Rasunda (National) stadium and who won the domestic double. 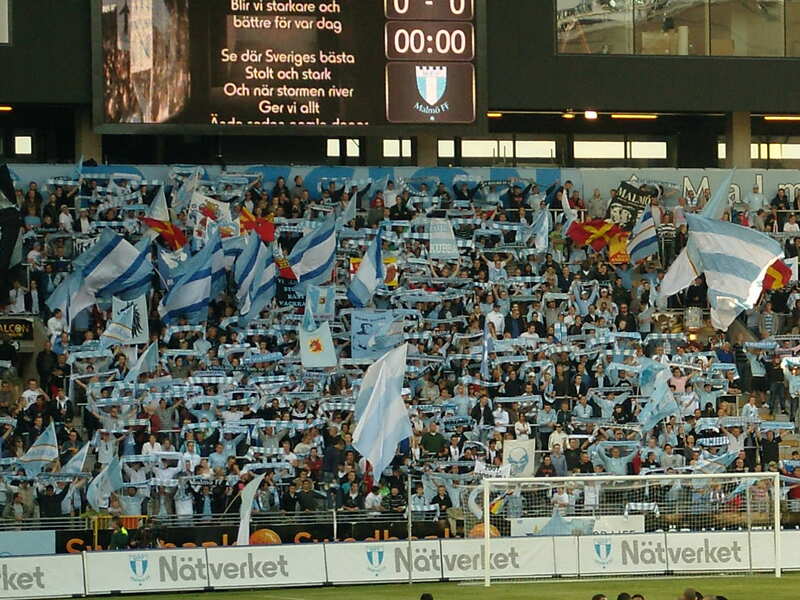 The highest attendance of the season came in their game against IFK. Interestingly, Hammarby IF were the 4th best supported team despite being relegated at the end of the season. Last season was a great year for Ukranian football as Shaktar Donestk and Dynamo Kiev both got to the UEFA Cup semi-finals (Donestk of course went onto win the trophy). Also it saw the opening of two new stadiums built for EURO2012 in Dnipro and Kharkiv, with Donestk’s Donbass Arena opening earlier this season. The best supported team is Metalist Kharkiv whose average attendance is up by 75% at 26,375 since moving into the new stadium. Overall attendances are up by 7.4% underlining the growth in interest in the domestic game. 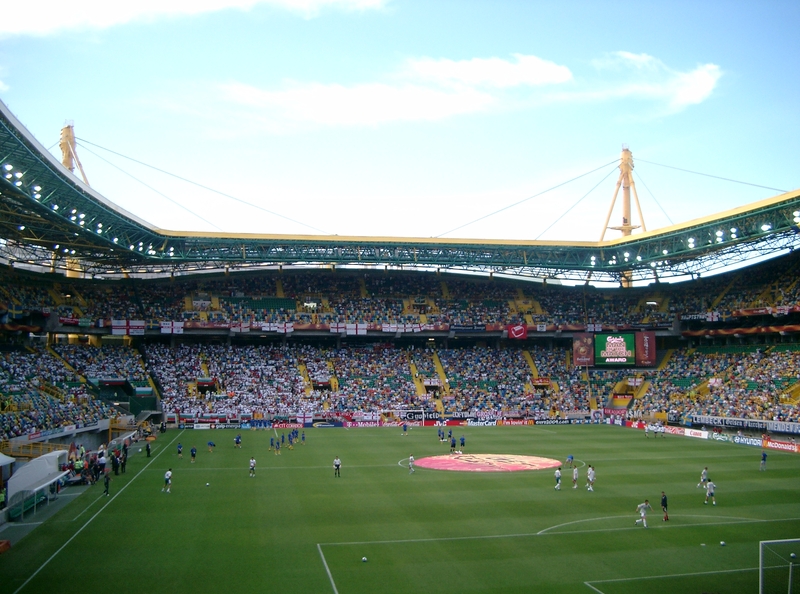 9% down on 2008/09 season as the euphoria of hosting EURO2008 has disappeared. Virtually every club saw a decrease in attendances, although Rapid Vienna, the best supported team only saw a 0.4% drop. Salzburg saw a 17% drop and Austria Karnten, crudely dumped in the outpost of Worthersee after the stadium was built saw a 30% decrease. A 4.6% drop from last season with most teams experiencing a down turn in attendances. FC Copenhagen are still the biggest team and have an average of 17,649 but this is down 12% on last season. 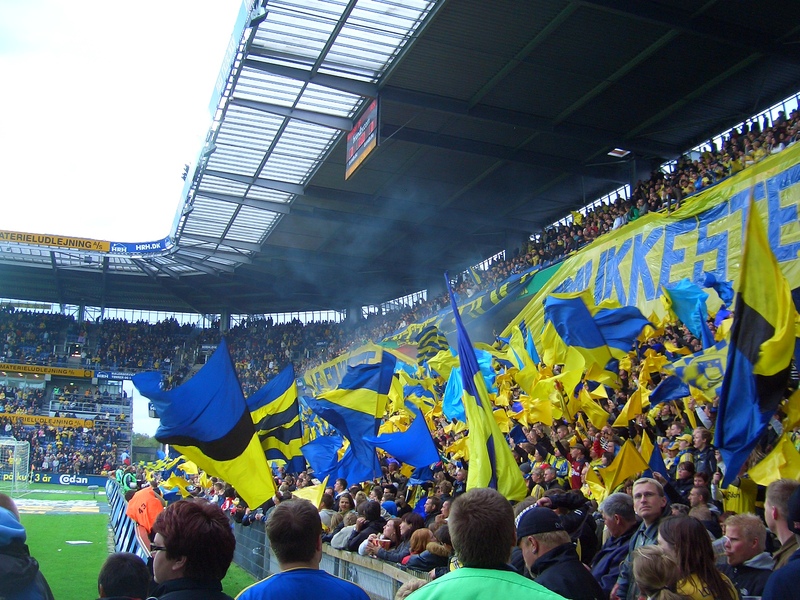 Even the Copenhagen derby against Brondby (down 13% to 14,703) failed to get a crowd much over 30,100 at the Parken stadium. Esbjerg and Aarhus’s surprising form on the pitch is translating to increased attendances with the latter up by 44% to over 10,000. There has been a slight rise in Portugal this season of just under 5%. The interesting team has been Benfica whos change in fortunes on the pitch has lead to an increase in attendances by over 30%, making them the best supported team in the country. Porto have suffered an 11% decline despite winning the league last season – perhaps people are simply just getting bored with success. 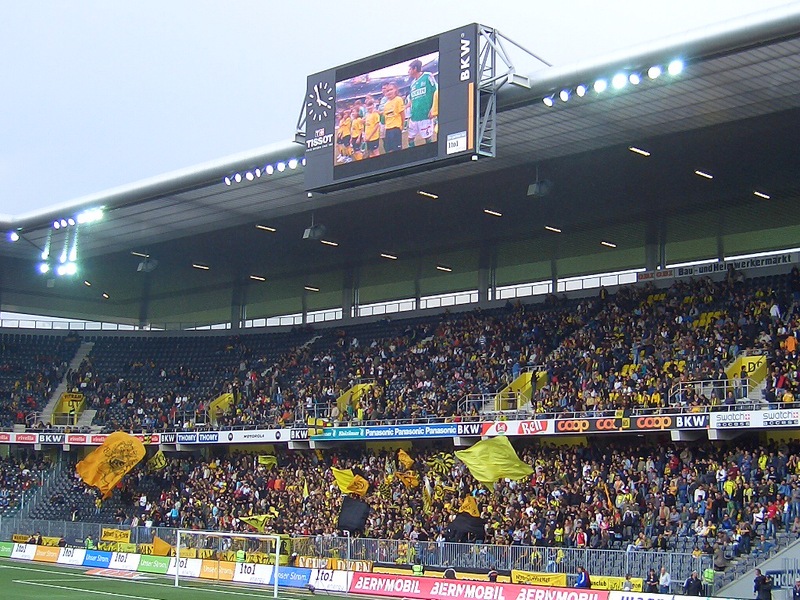 Switzerland continues to see a boom in attendances with the average up by over 27% this season. Young Boys, bouyed on by their reversal of fortunes have seen the biggest rise with over 28% more people coming through the gates on a match by match basis. FC Basel, arguably the biggest club in the country have seen a 4% rise to 21,861. The two Zurich teams have seen near 10% increases proving that if you build it they will come. Still holding their own in 8th place with a modest 7% rise from last season is Belgium. 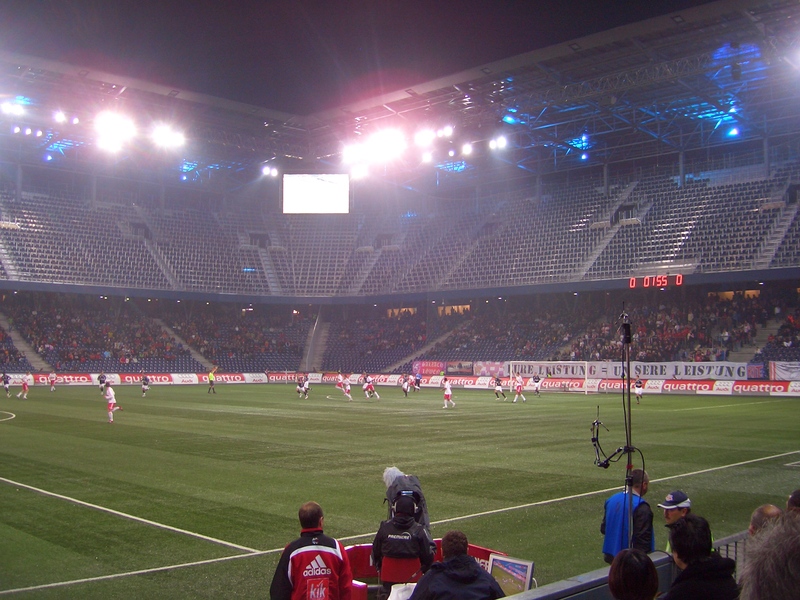 Three clubs average over 20,000 – Anderlecht, Club Brugge and Standard Liege who are the best supported with an average close to 26,000 in their 30,000 Dufranse stadium, no doubt boosted by their excellent performance in Europe. 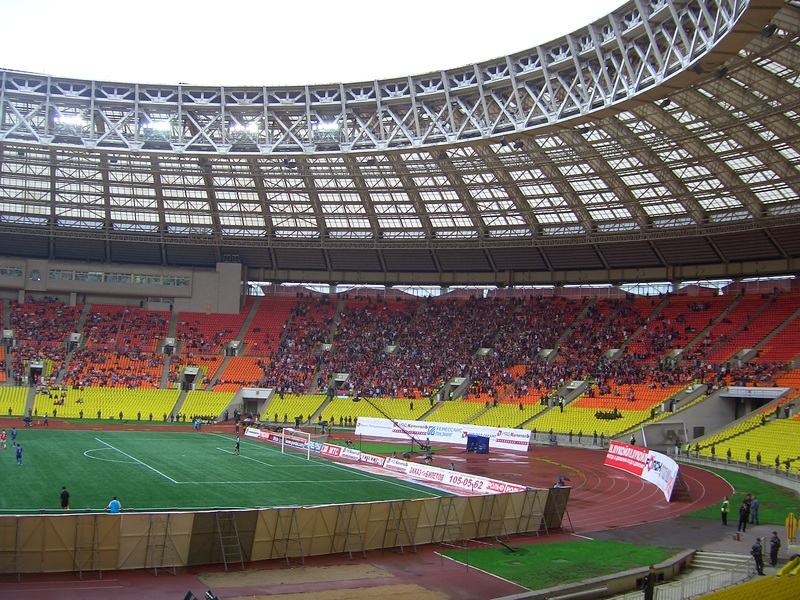 Attendances were down last season in Russia by 6%, with many of the bigger teams losing spectators as their club’s fortunes fell by the wayside. Dinamo Moscow suffered a 41% drop, as too did CSKA Moscow by 10% as they lost pace to the likes of Rubin Kazan, the champions. Interestingly enough they too saw attendances drop by 20% as ticket prices rose dramatically. 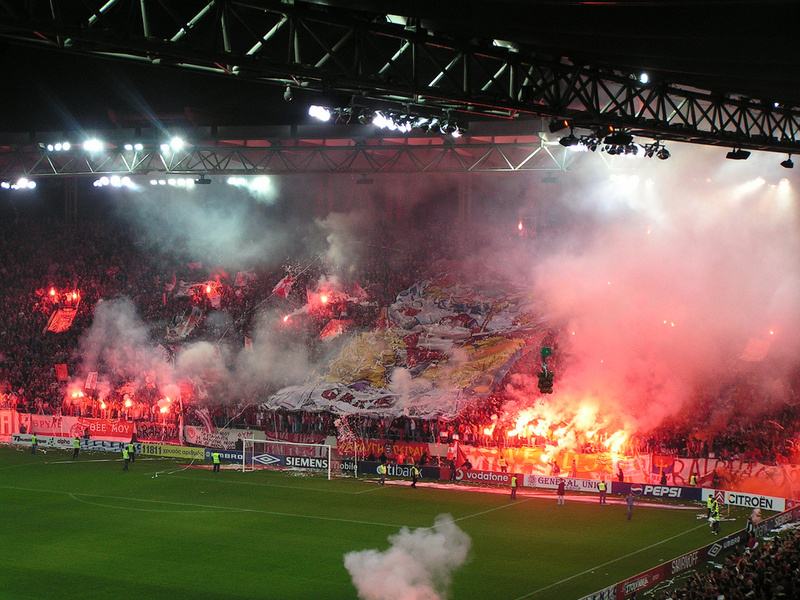 The best supported team was again Spartak Moscow who play at the Luzhniki for one more season, and averaged 25,253. Zenit St Petersburg saw a 8% drop in attendances but are still the 2nd best supported team. FK Kuban Krasnodar’s promotion the previous year resulted in them increasing attendances by over 120% to 18,467. There has been a slight decline in attendances in Holland so far this season, falling off by 2.4%. Virtually all of the big clubs have seen little or no change – Ajax are still the best supported at 48,280 per game, down by 1.5%, with Feyenoord in second place at 44,167 (up 0.3%). 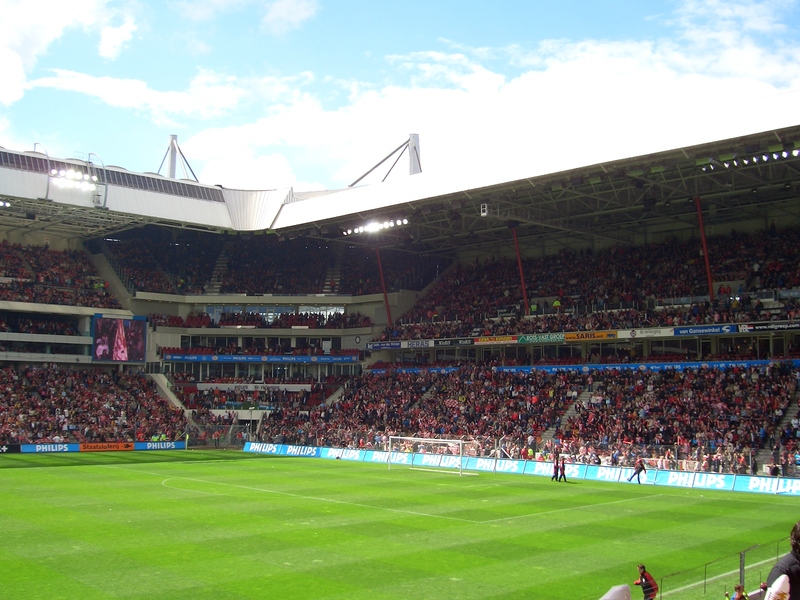 A number of teams play almost every game in front of a capacity crowd including PSV Eindhoven, SC Heerenveen, FC Groningen and FC Twente meaning that average attendances will vary very little. This is still quite amazing considering the restrictions on buying tickets (membership cards, bubble matches) in place in the Netherlands. 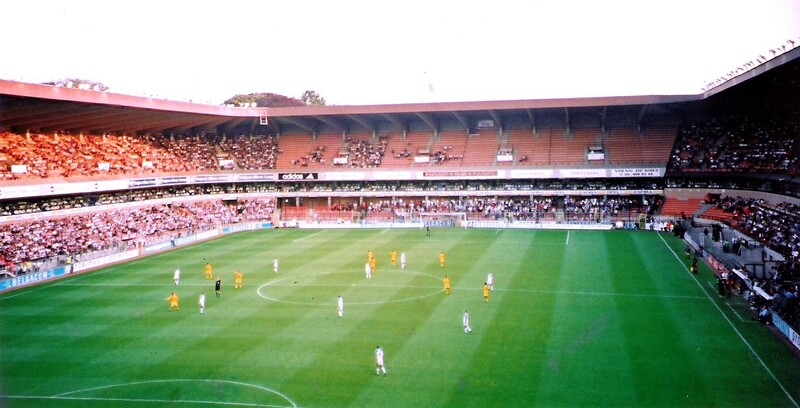 The return of Racing Club Lens to the top division has boosted attendances in some areas but has to be tempered with the relegation of Nantes and Strasbourg who were also well supported. Marseille are still far and away the best supported team with an average of 48,789 which was down by 7% on 2009. Paris Saint-Germain was also down (by 12%) to 36,108. Bordeaux’s success on the pitch has led to a 10% increase in attendances and almost sell out matches at 29,746. Boulougne’s promotion has led to an increase in attendances there by 110% at 12,112, which is capacity. Attendances continue to fall in Italy (down by nearly 5%) as stadiums are neglected, and fans are priced out of going to games. This is the tenth year in a row that the average crowd has fallen, and 10 years ago it was 30% higher. 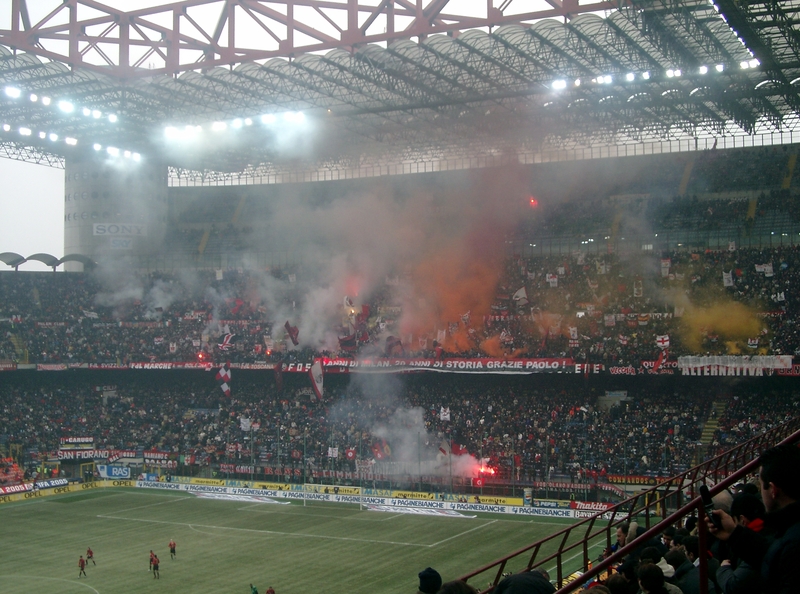 Inter are the best supported team with an average attendance of 52,938, still some way off capacity at the San Siro. Rivals AC saw a 27% drop in attendances to 43,342. Few clubs have experienced a rise in attendances (apart from Parma, Bari and Livorno who were promoted) with Juventus surprisingly the biggest gainer at 23,909 in Torino’s Olympic Stadium. 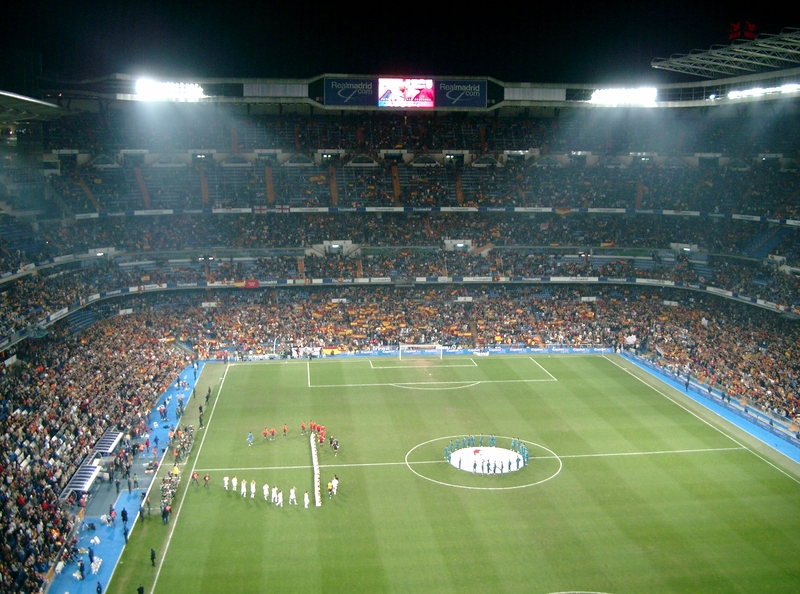 Ten years ago in Spain the average attendance was 25,000. In that time there has only been one new stadium opened and little work carried out to modernise or expand the grounds, yet attendances have still risen, and this year so far they are up by nearly 3%. No surprises that Barcelona are the best supported team with an average of 82,648 (up 16%), and that Real Madrid were the 2nd best with 74,250. Despite all of their financial problems Valencia’s crowds have risen by 19% to 45,493 making them the third best supported team. The team who have seen the biggest decline is Real Mallorca where 17.5% have disappeared in a year. The Holy Grail – the Premier League. It is often assumed that this is the best supported league in the world but it has been some years since that is the case. All of the top sides have seen a slight decrease this season so far. Manchester United are still the top supported team, with Arsenal second, but Manchester City are now in third place with an average of 46,141 and overtaking Liverpool. There are six teams averaging over 40,000 in total and an impressive 10 over 30,000. The biggest “gainers” this season are the three promoted clubs as well as Blackburn Rovers who have seen attendances rise to 25,977 on average thanks to some very generous season ticket pricing. Wigan Athletic have the lowest average at 18,464. In terms of average v capacity (utilisation), Arsenal have achieved over 99% this season, and six clubs have 98% or more utilisation. Ten clubs averaging over 40,000 (10,000 more than in England), thirteen clubs with grounds less than 5 years old and a general upward trend still keeps Germany at the top of the list. The best supported team is still Borussia Dortmund with an average of 76,412, but Bayern Munich and Schalke 04 are next with an impressive 99.9% utilisation each! (to put that into context it means for Bayern there are 69 spare seats for each game. Champions Wolfsburg can only manage to be the 14th best supported team in the league although they only have a hundred or so spare tickets for each game. 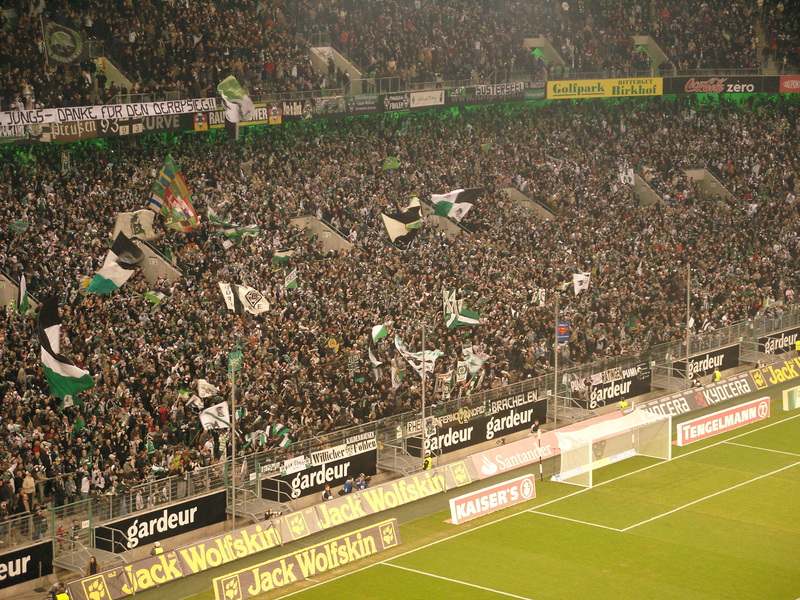 Ten years ago the average was just 31,000 which shows how much passion has been injected into the game in Germany. The perfect place (assuming you can get a ticket) to watch football. More can be found at The Ball is Round. Sol v Torres, where's the real Jones and what are we paying clubs for? Where is the Scottish league at the moment? They have fallen a long way as their average attendance in 2006/07 was over 16,000. In fact, the Football League Championship should probably be on this list too as it averages around 18,000. The Norwegian Tippeliga had an average of 8 966 spoctators in 2009. And should by that be number 11 on the list. i can not trust cuz wheres Turkish Super League? whch is fifth expensive league in the world. greece league ? huh..
Turkish numbers is close to impossible to find. And hence they are not in the stats. … the exact same could be said of the Spanish League. Take away the big twoa nd the average is similar to the Dutch league about 20,000.
in Turkish SUPER LEAGUE – fenerbahce 35,600- besiktas 33,100- galatasaray 27,200- trabzonspor 23,500, bursaspor 21,800- ankaragucu 16,500- than the others are overal 10000 spoctators in 2009. so the league s overal s nearly 18,000-20,000.